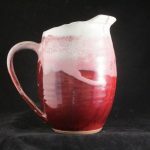 A major focus since I started making my own glazes has been a good copper red, since using copper for that color makes the version that I find most beautiful. Although good reliable reds can be made with other approaches, they have disadvantages. 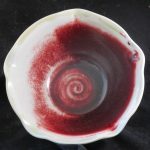 Using ceramic stains can make vivid hues, but staining ingredients usually include toxic elements like cadmium or selenium and the resulting reds are, to me, overly strident. 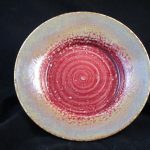 Another approach is to add chrome and tin to a glaze; this makes a reliable and attractive hue, but with a density that makes it seem almost paint-like to my eye. A good copper red has the most pleasing visual quality to me. 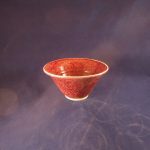 Viewed in cross-section, a copper red consists of a transparent red layer suspended between two clear glaze layers. 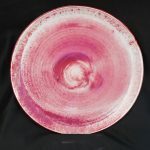 Light can penetrate the glaze and reflect off the underlying body, illuminating the color from within and producing a luminous red I cannot resist. The problem? 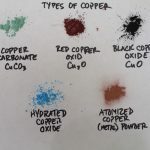 Making copper reds is hard. 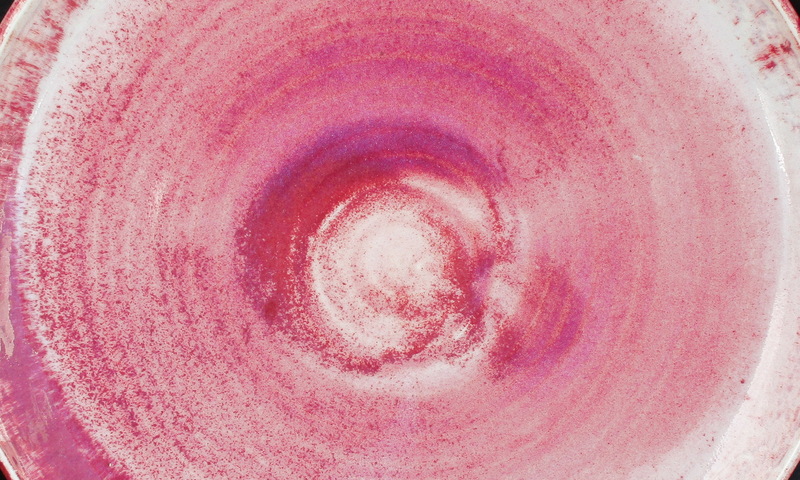 If the firing atmosphere has too much oxygen, the copper has no effect, leaving the glaze clear or white. Too oxygen-starved produces a murky livery brown. Using the wrong clay body can turn even a good red vile. 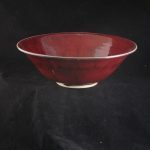 My best reds on porcelain often make for a grayish maroon on buff stoneware. 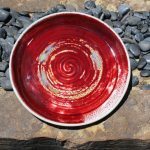 The glaze thickness can make or break the color as well – a brilliant red in a medium coating will be clear if too thin or garnet black if too thick. Other factors to obsess about include timing of reduction cycles, ramp rate to temperature, rate of cooling, and holding periods during the cooling cycle. 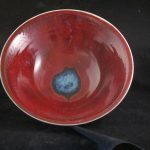 Finally, every firing is influenced by temperature, wind strength and direction, and humidity. When all factors somehow balance, though, the resulting visual feast never fails to restore my enthusiasm for further effort.